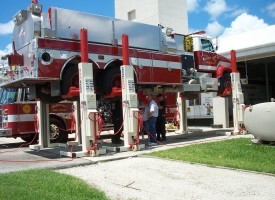 Until the 1980s, most vehicle lifts were of the in-ground type. 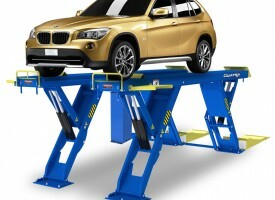 Today, surface mounted lifts are the most widely used. 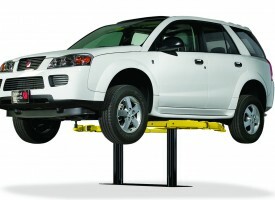 Surface mounted lifts are typically bolted to the garage floor and powered by an electric motor which operates either a hydraulic pump or a screw type drive. 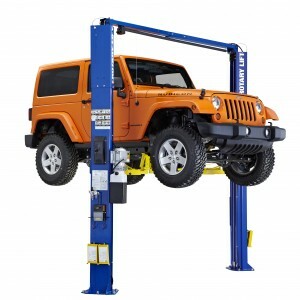 To read more about specific lift types, please use the links below. 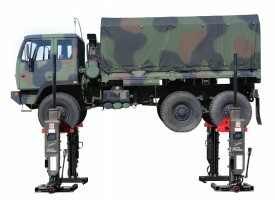 Most commonly configured as a four-post surface-mounted lift, multi-post runway lifts allow the vehicle to be driven onto two runways and lifted by its tires, providing full access to the underside of the vehicle. 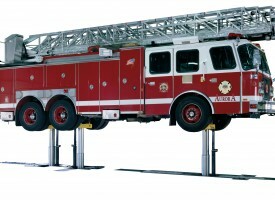 Four-post lifts can also be configured to perform wheels-free services. 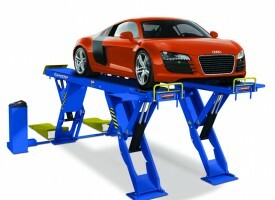 Most parallelogram lifts are drive-on lifts with two runways. 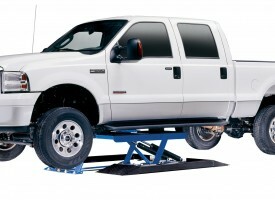 Traditional parallelogram lifting mechanisms move the vehicle a short distance fore or aft when lifting or lowering. 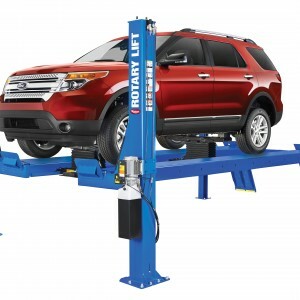 There are hybrid versions of this lift type that move straight up and down. 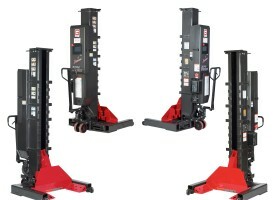 This lift type is powered by an electro-hydraulic power unit. 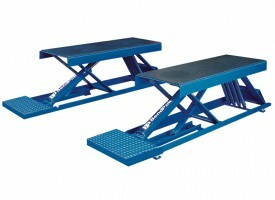 Synchronization of the two parallel runways is usually accomplished by hydraulic or electronic means. 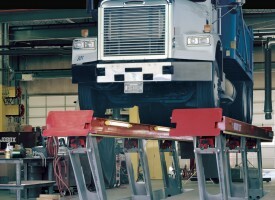 Sometimes a torsion bar connected to opposing parallelogram legs is employed to assist in synchronization. 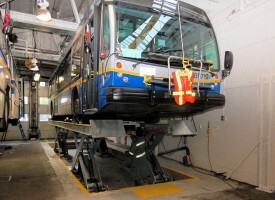 Some drive-on parallelogram lifts can be configured to perform wheels-free services. 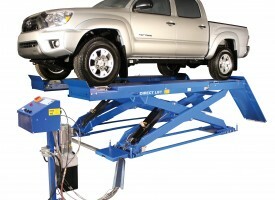 The scissors lift may be equipped as a drive-on style with runways or as one that is frame or body engaging. 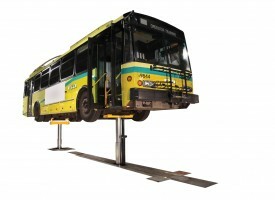 There are surface-mounted and in-ground versions available. 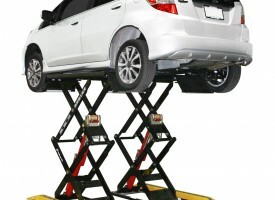 The scissors lift has a lifting mechanism similar to a traditional parallelogram lift, however, it lifts and lowers a vehicle in a straight vertical path, rather than fore or aft of its original position. 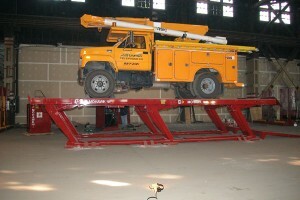 Some drive-on scissors lifts can be configured to perform wheels-free services. 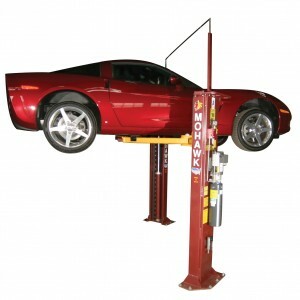 Lifts with their lifting assemblies installed below the garage floor are known as inground lifts. 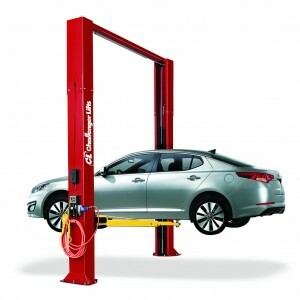 Most modern manufacturers of inground lifts have developed systems to contain all of the hydraulic components within an enclosure. 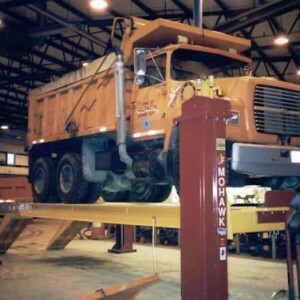 This reduces the risk of soil contamination from hydraulic leaks. 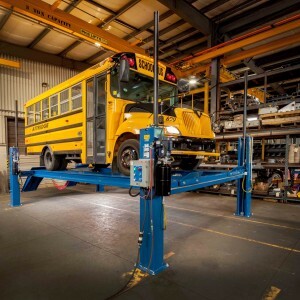 These lifts employ one or more hydraulic pistons or scissors mechanisms depending on the type of vehicle and how much weight is to be lifted. 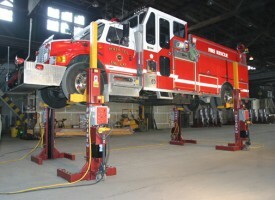 Light-duty lifts use one or two pistons. 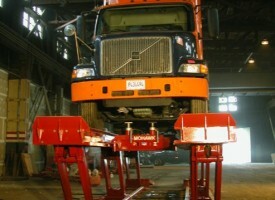 Heavy-duty inground lifts feature two to three pistons or scissors mechanisms. 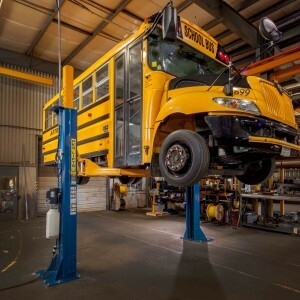 Different inground lifts are manufactured to suit almost any type of repair or maintenance service on virtually any vehicle. 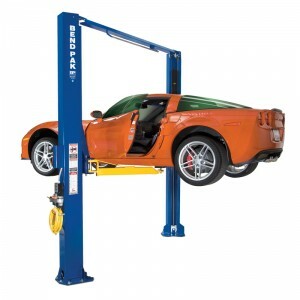 The moveable wheel-engaging lift is commonly known as the mobile column lift. 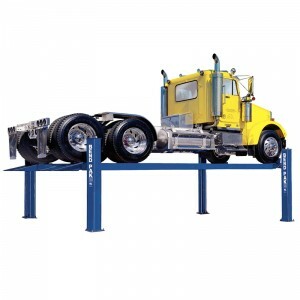 It consists of individual lifting columns that are used in sets of two, four, six or more units. 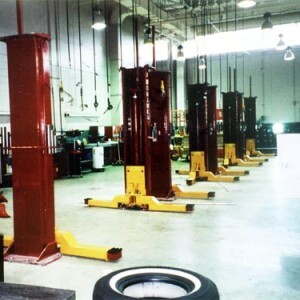 Each of the individual columns is mobile, contains an electric power unit and is operated by a hydraulic cylinder or screw drive. 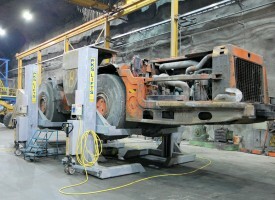 The columns communicate through cables or wirelessly to enable synchronized lifting and lowering. 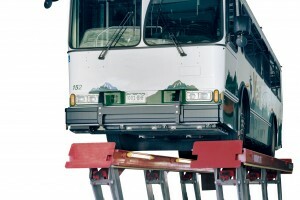 Low and mid-rise frame or body engaging lifts usually engage the vehicle’s frame or its perimeter. 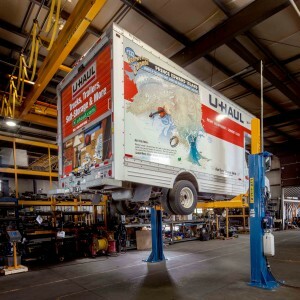 The lift operates in either a traditional parallelogram-style (which moves fore or aft as it lifts and lowers) or a scissors-style (which moves in a straight vertical direction). 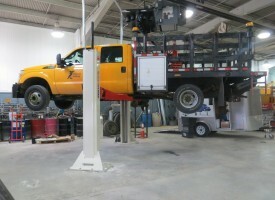 These lifts may be powered by an electric-hydraulic power unit or, in the case of some low-rise service lifts, by compressed air. 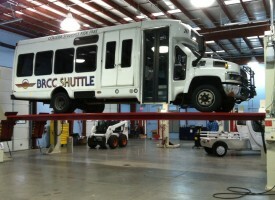 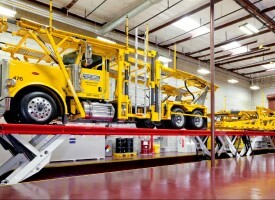 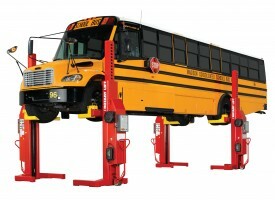 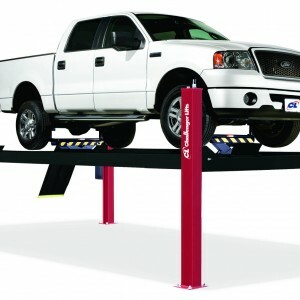 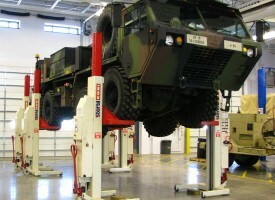 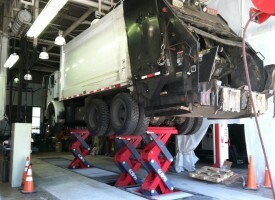 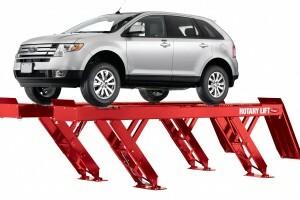 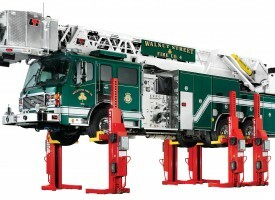 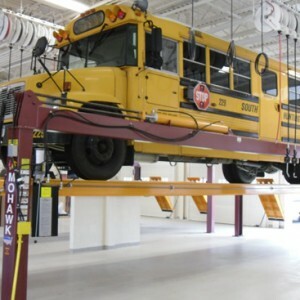 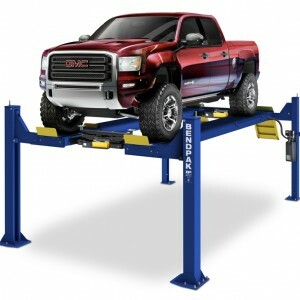 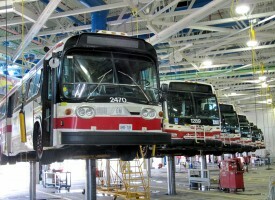 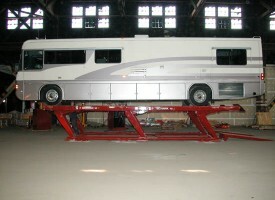 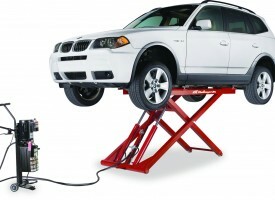 The primary uses of these lifts are tire, brake and wheel service, as well as collision repair – there is limited access to the underside of a raised vehicle on this lift type.